features. 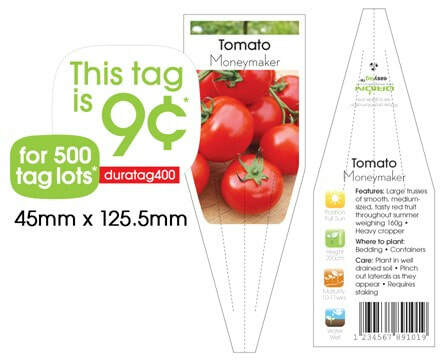 Add your logo, branding, barcode, QR code or website address AT NO EXTRA CHARGE. Choose from one of our standard sizes below, available in a standard design with stock text and image sourced from our extensive image library. 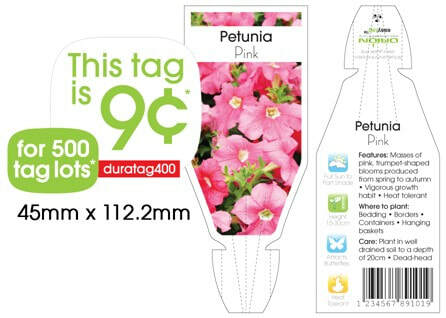 With our stock tags, you have the benefit of being able to add your own features. 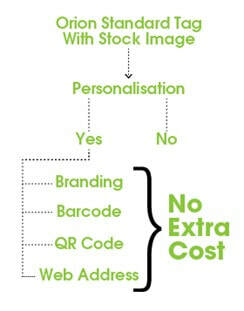 You can add your branding, barcode, QR code and/or web address, all at no extra charge. varieties in multiples of 500). Terms and conditions apply. These prices are in NZ$, are GST and freight exclusive. For any enquiries or orders please do not hesitate to contact us, we are always happy to help. Email us at info@orionlabels.co.nz or phone on 09 437 2423. We look forward to hearing from you.